Marian Watts holds a recently-banded chick hatched on the Cobb Island Tower. Initially used as a hack tower, the Cobb Island Tower has been a nesting location since 1982. Photo by Bryan Watts. 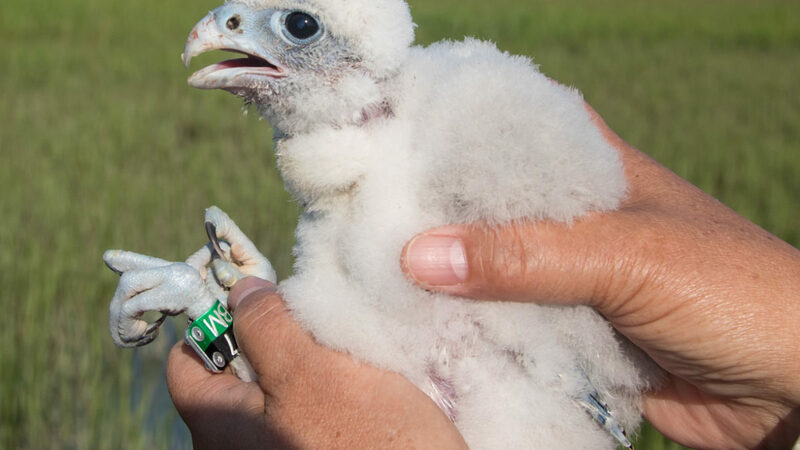 With 32 occupied territories, Virginia supported the largest breeding population of peregrine falcons ever known to occupy the state during the 2018 season (download the 2018 report). Since the reintroduction of captive-reared birds in the late 1970s and the first successful breeding in 1982, the population has managed show consistent growth with an average annual rate of 8%. 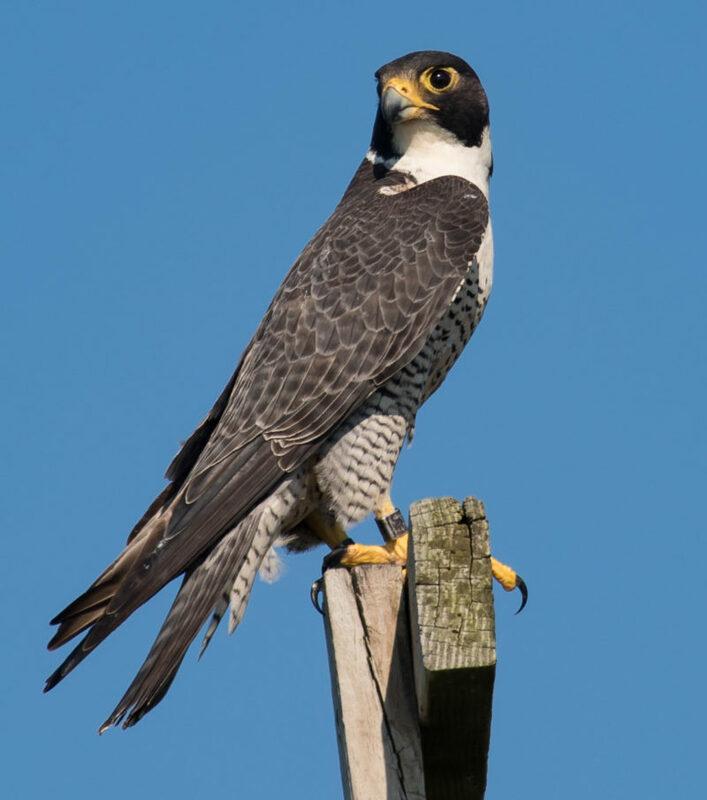 As far as can be determined, the historic population of peregrine falcons that nested in the mountains of Virginia supported approximately 25 breeding pairs. 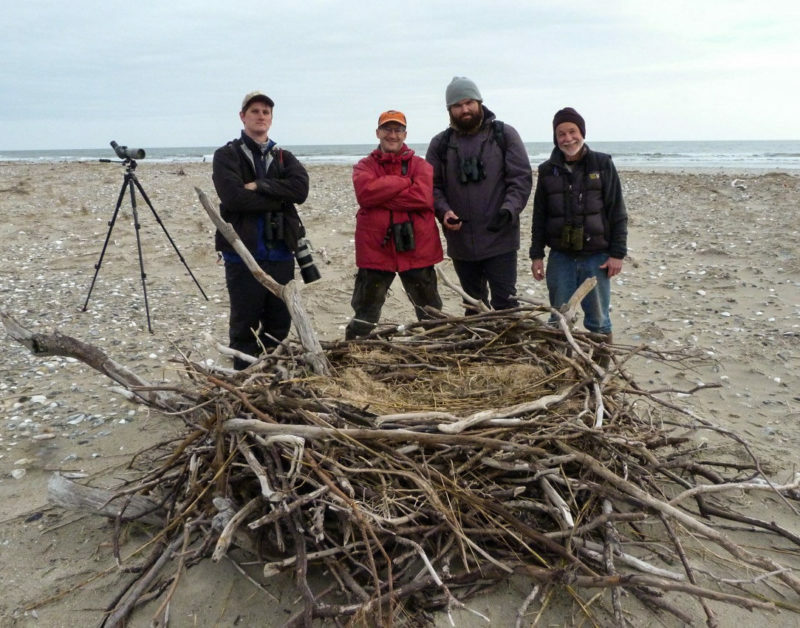 The modern population depends primarily on man-made structures for nesting. Only two known pairs in 2018 nested on natural cliff faces. 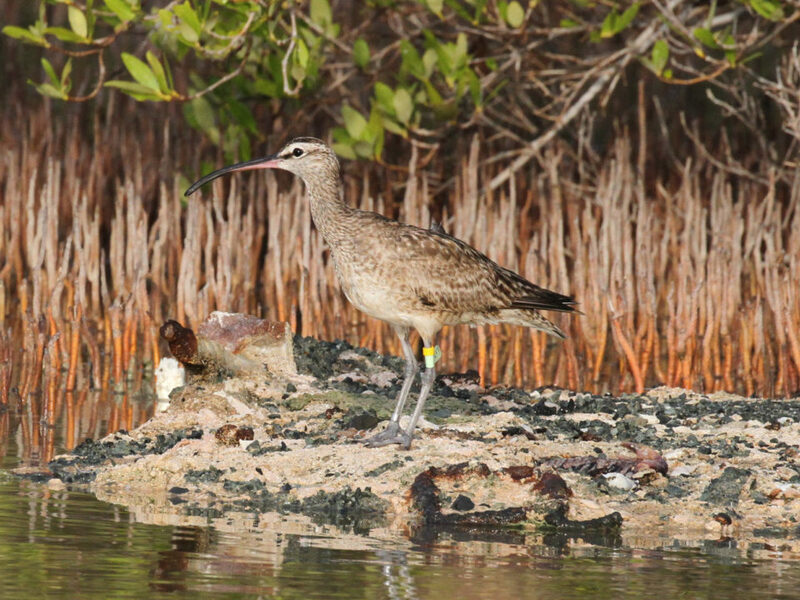 Breeding male from Mockhorn Island. Now eight years old, this bird was hatched in the same box where it is now the breeder. Photo by Bryan Watts. Despite the high number of occupied territories, 2018 was a mixed year for breeding performance. 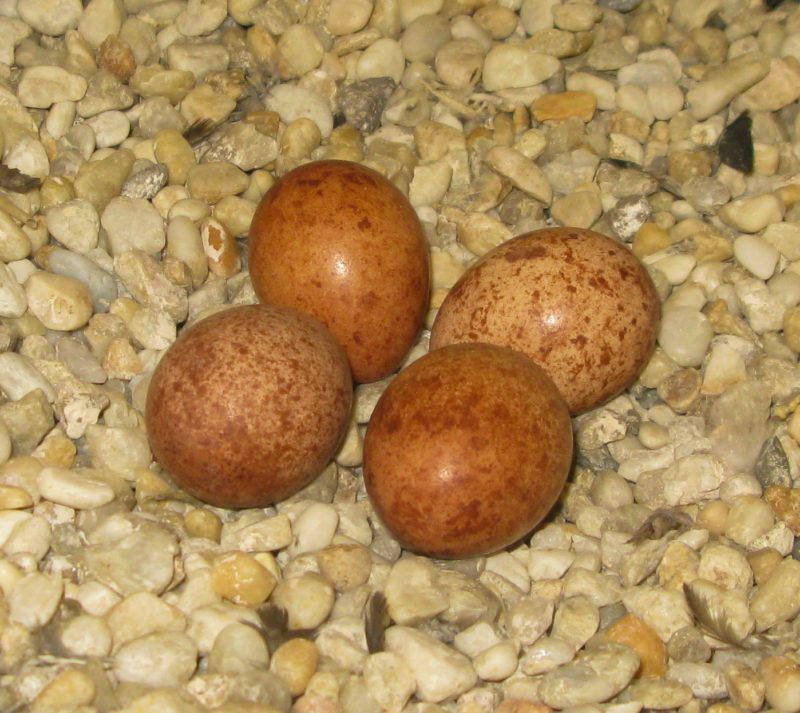 Hatching rate was relatively low (67%, 45 of 67 eggs followed). Of 17 clutches that were followed completely from hatching to fledging, 36 of 57 (63%) eggs hatched and 36 of 36 (100%) survived to banding age. Three young were known to be lost after fledging. 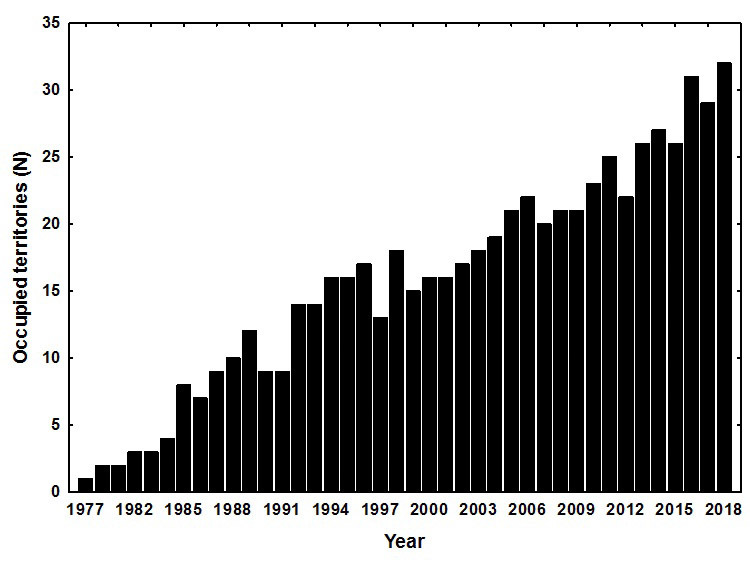 The reproductive rate (1.25 young/occupied territory) was considerably lower than in recent years. 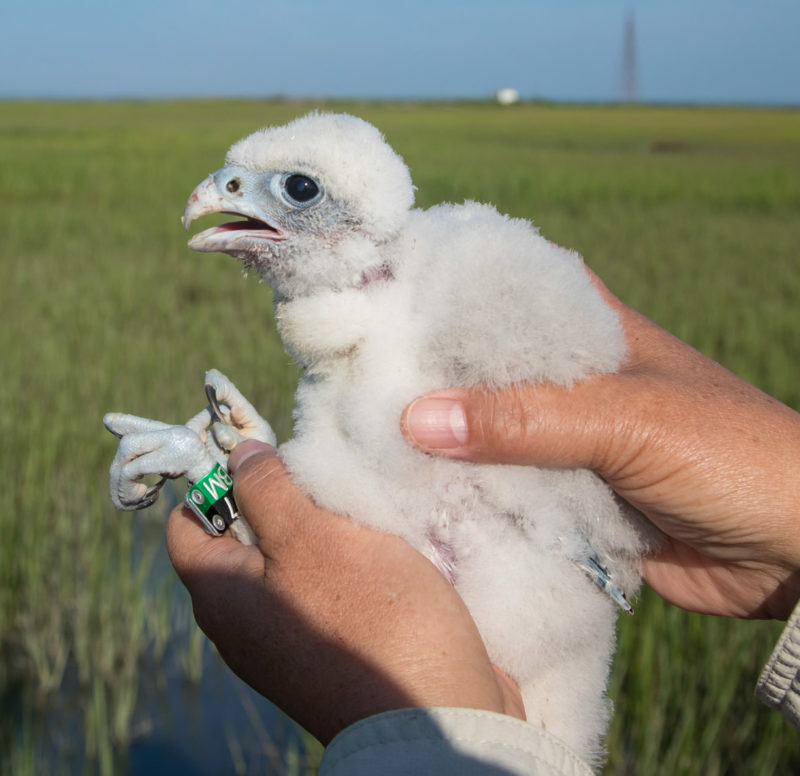 Recovery of the peregrine falcon breeding population following initial reintroduction efforts. The 2018 breeding season set a new benchmark. Data from CCB. A contributing factor to poor breeding performance in 2018 was an unusually-high turnover in adult females (see our story about female peregrines under pressure). Thirty-five percent of known females turned over between 2017 and 2018. 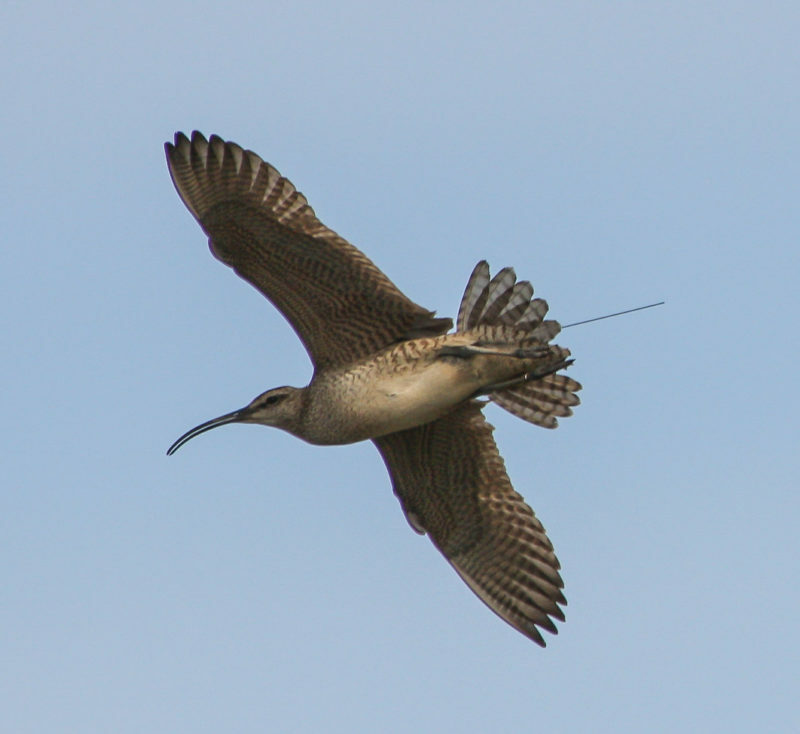 Exchanges often result in contests to fill open breeding slots, replacement by younger less experienced birds, and disruption in breeding. Replacement of so many females appears to have impacted performance on a population scale. We would anticipate that performance will normalize as pairs settle. Peregrine falcon clutch in a nest tray on a bridge managed by the Virginia Department of Transportation. Photo by Bryan Watts. 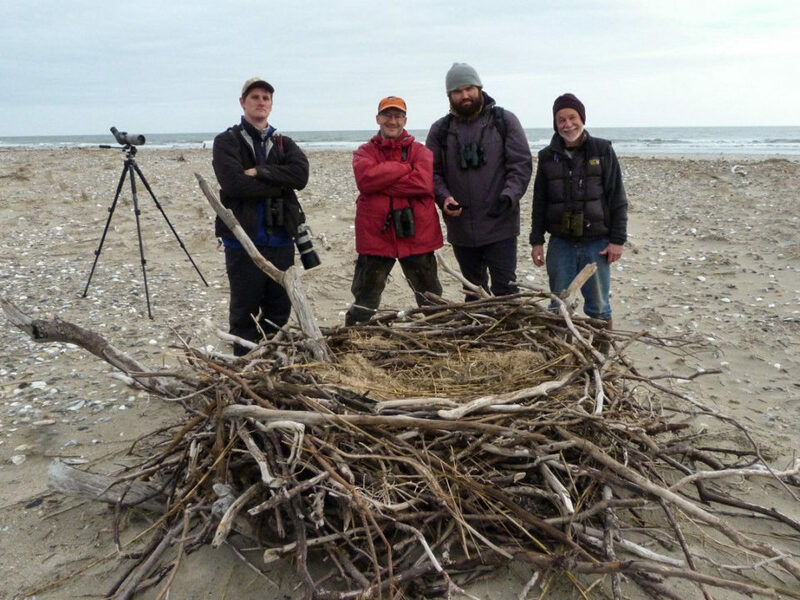 We continued dedicated efforts in 2018 to identify breeding adults via field-readable bands to better understand dispersal and demography. We determined the banding status of 46 (73%) of the 64 adult peregrines known within the breeding population. The alpha-numerics were read for 29 adults. 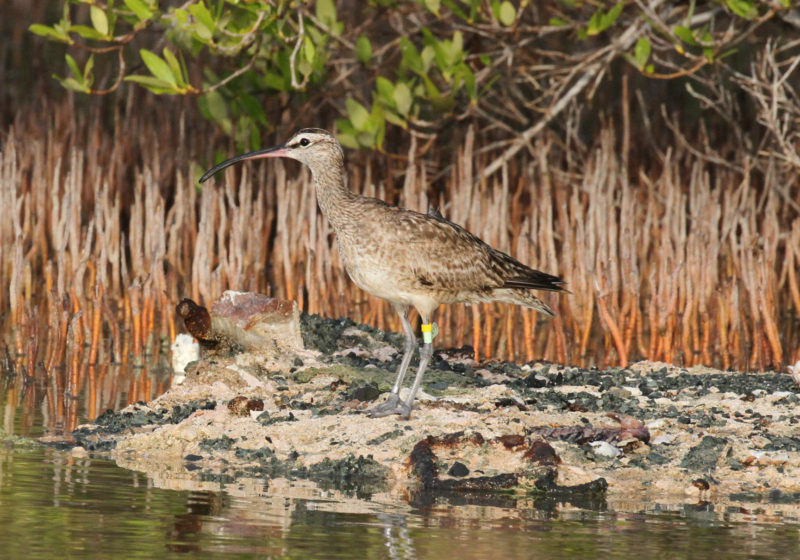 Of the banded birds where state of origin could be determined, 22 were from Virginia, 3 were from New Jersey, 4 were from Maryland, and 1 was from Pennsylvania. 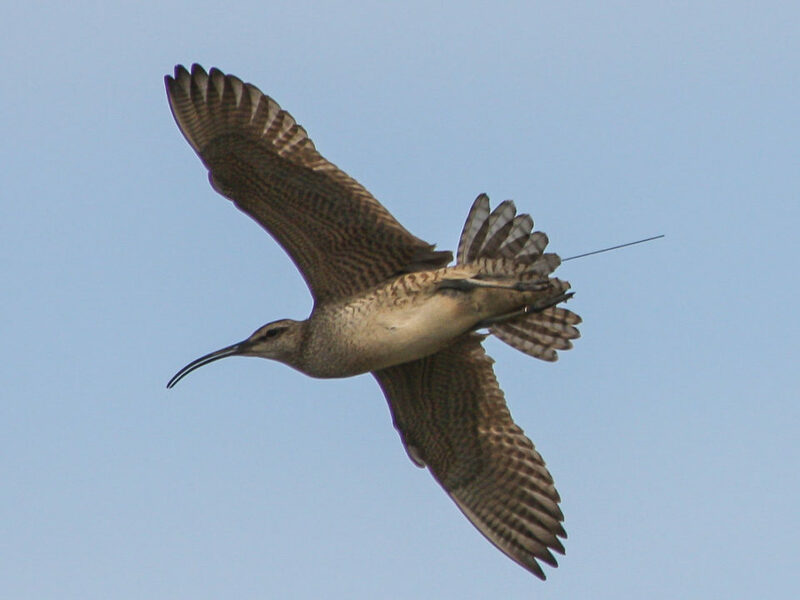 The natal territories were determined for 27 adults. Breeding adults ranged in age from 3 to 18 years old.